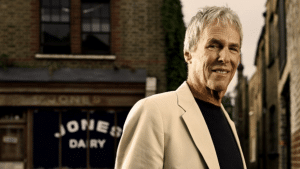 For over half a century, the immensely popular and immediately identifiable melodies of celebrated composer Burt Bacharach have touched millions of music lovers around the world. Beginning his career as an accompanist to legendary actress-singer Marlene Dietrich, Bacharach in the 1960s established himself as a topical successor to his Tin Pan Alley predecessors, creating some of the most beloved and successful pop music to ever grace radio, television, and film. This first-time-ever archival PBS special includes all the original artists performing Bacharach’s hits with rare archival footage and clips from the 1960s-1970s. On CPTV: Saturday, November 4 at 7:30 p.m.